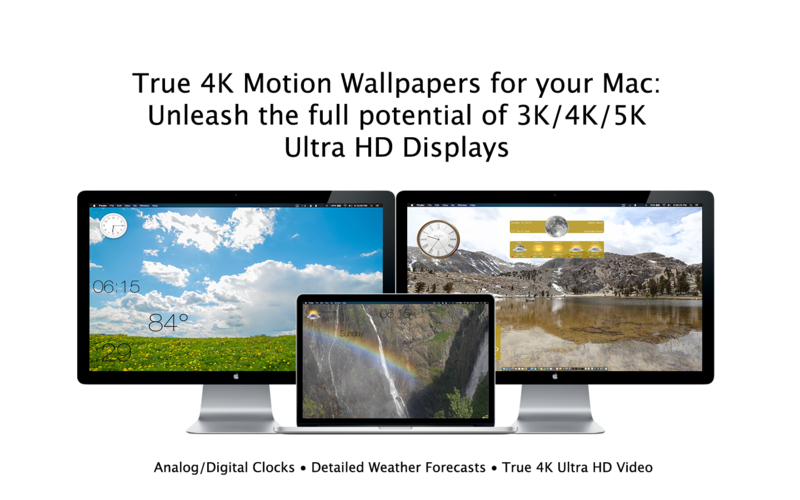 Video Wallpaper 4K is an innovative new 4K Video Motion Wallpaper application! 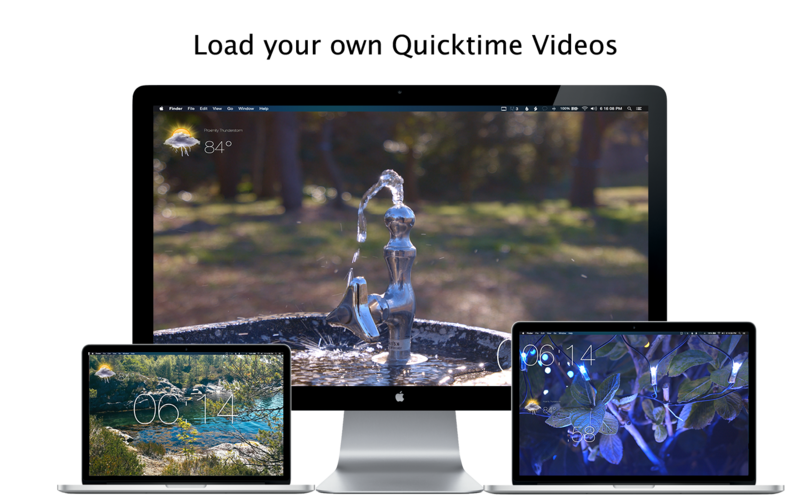 Video Wallpaper 4K features 20+ stunning themes, with each theme featuring breathtaking 4K Video and the most cutting-edge and beautiful "Desklets" ever to grace a Desktop! 4K Video Wallpapers include: Glaciers, Timelapsed Clouds, Slow Motion Beaches, Gorgeous Fireworks displays, Mountains, Waterfalls, and many more Space, Nature, and Architecture Themes! Video Wallpaper 4K features a super efficient video player foundation that can play full 4K videos while consuming on average 5% CPU per display. 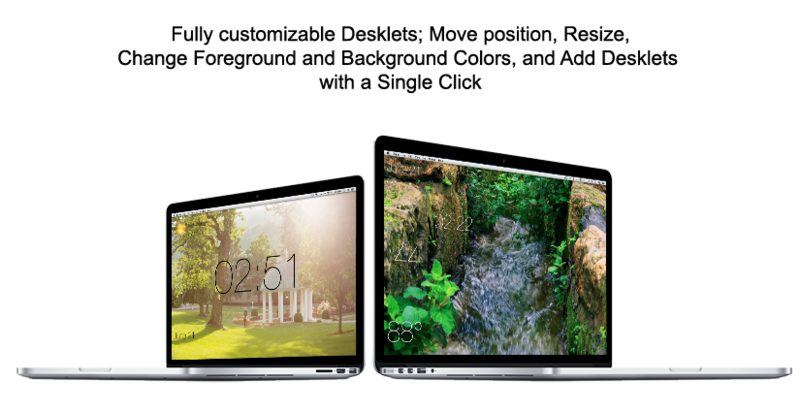 Built on tested and proven technology, Video Wallpaper 4K is the most beautiful application to ever live on your Desktop. Video Wallpaper 4K works great on Retina (3K) displays as well! 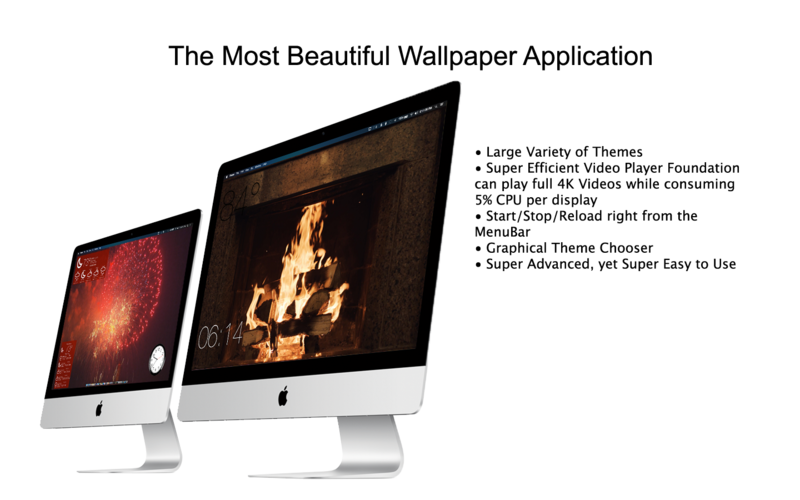 Mach Desktop 4K is our Pro 4K Wallpaper application, featuring 40+ stunning themes including 4K 3D effects and 4K Video. Click to Learn More. 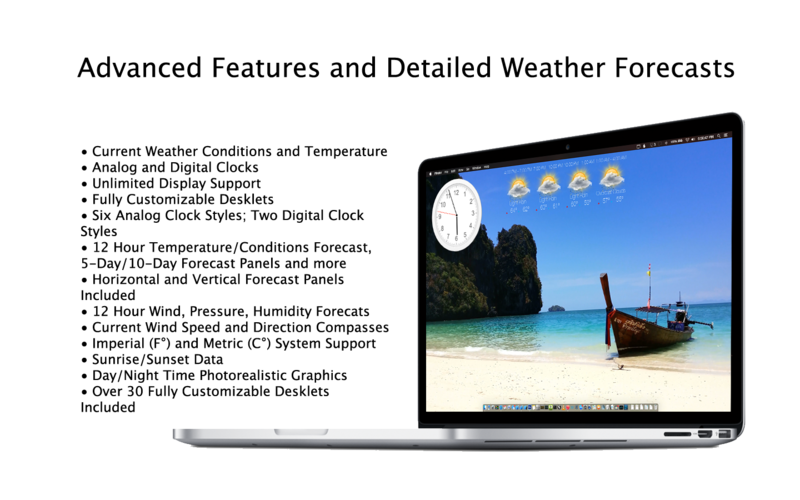 20+ Themes, with the option to automatically add customized Desklets or add no Desklets at all; the choice is yours!